Birrell had been appointed by the Deputy Premier of Victoria and Chief Secretary, Sir Arthur Rylah, in August 1957. Rylah was also the Police Minister and was looking for a doctor who would take blood for alcohol estimations for suspected drunken drivers. [It] involved taking a sample (with “voluntary consent”) of 10 mls. of blood dividing it into 2 approximately equal samples and placing the samples of blood into 2 tubes, each containing a yeast inhibitor and an anticoagulant. Such black and white regulations led to all sorts of delightful legal arguments as to whether the syringe was dry and clean, whether alcohol was in the skin swab and whether one could swear whether the correct substances, or even what substances, were in the tubes. At this stage, as a police surgeon I was taking some 5-600 blood alcohols per year sterilizing my own syringes and even preparing the blood tubes. It goes without saying that research was difficult in the blood alcohol field involving blood samples and subsequent sophisticated chemical analysis. Laws dating back to 1909 had prohibited the driving a motor car under the influence of alcohol. However determining if someone was too intoxicated to operate a motor vehicle was mostly subjective. Police officers could assess the degree of intoxication through the use of sobriety tests, such as walking a line, balance tests and so on. But the chances of getting a conviction in the courts were low. In the year ending June, 1956, 582 people had been killed and 13,483 injured on Victorian roads and each year the number was rising. The general public and the politicians were aware there was a problem with the road toll but the causes were not understood and not talked about. It was generally assumed that a road death was usually the fault of an inexperienced driver and, while being tragic, these deaths were seen to be the price of progress. While of concern to people close to the action, the true picture of the role of alcohol in accidents was not generally understood. The Victorian Police Force surgeon to-night attacked the inadequate police patrols and the lack of co-operation by hospital doctors in the detection of drunken drivers. The surgeon, Dr. J. R. Birrell made a report after 36 night’s experience in the examination of alleged drunken drivers. “My Impression is that about 60 per cent, of accident victims, be they drivers or pedestrians, admitted to casualty wards are under the influence of alcohol. “A series of inquests on road accidents held in the city coroner’s court had shown that alcohol had been found to be present in 64 per cent of the accidents,” Dr. Birrell said. Dr Birrell urged compulsory blood tests for suspected drunken drivers as the only way to combat the high accident rate. This should be combined with a sure penalty if the blood alcohol content was above a certain level. His reference to the fact that “alcohol had been found to be present in 64 per cent of the accidents” was totally at odds with the general public’s understanding and that of politicians. The liquor industry was adamant that the figure was no more than five per cent. It’s unclear on who’s authority the press conference at Police Headquarters was organised. He was not employed by the Police Department so he was not bound by their regulations such that only authorised officers can speak out. But here he was giving advice to the Police force on how to run their operations and calling for changes to the law. Driving about Victorian roads are thousands of potential killers that the law under its present system cannot touch. Walking a chalk line, walking up and down stairs, picking up a coin while standing on one leg, finding a telephone number and answering tongue-twisters may be amusing and startling in their consequences when applied to an apparently drunken driver— but they give no positive proof of the degree of his intoxication. Birrell was determined to get the message out that change was needed. But in many quarters his message was not welcome. Carlton and United Breweries, the major supplier of beer in the state, responded with a pamphlet totally rejecting Birrell’s assertions. The RACV (Royal Automobile Club of Victoria) said his proposals were a breach of civil liberties. Even some members of the Police Force thought Birrell was going too far. Some said he was mad. One supporter though was the Police Commissioner, Selwyn Porter, who accompanied Birrell one night and saw for himself the scene of accidents and the effects of alcohol. 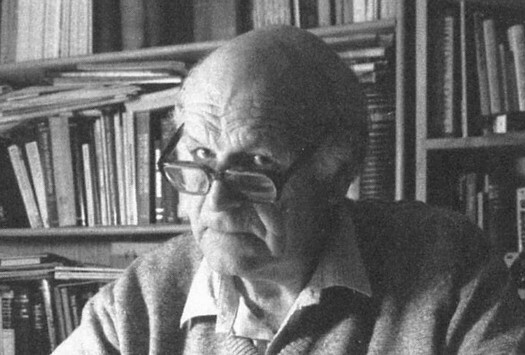 John Henry Winter Birrell was born on 29 December 1924 in St Kilda, Melbourne. He was the eldest of three sons of Sydney Henry Birrell, a a wholesale butcher company manager, and Violet Olive Birrell. John had two brothers, Bruce McKenzie and Robert Gregory. Lieutenant Sydney Henry Birrell, 37th Australian Infantry Battalion, First World War, 1914-1918, Military Cross. For conspicuous bravery and devotion in action East of Ypres on 4th and 5th October 1917. Lieutenant Birrell was in charge of the Brigade Forward Signal Station. His organisation of his party was excellent, and in spite of enemy barrage, lines were laid expeditiously and effectively. Owing to casualties amongst trained men, he had personally to supervise the laying and maintenance of all communications. While under shell fire, he exhibited the most commendable fearlessness in the exercise of his duty, and his splendid conduct was not only a source of greatest encouragement to his men, but resulted in the forward communications being maintained throughout the whole of the attack in a high state of efficiency. 1942 was an eventual year for the family. The boys’ mother died and as Robert was only nine-years-old, John and Bruce helped care for their younger brother. He appeared at first meeting to be an extreme and rigid conservative. The reverse was the case, and many knew him to be kindly and compassionate. Apart from medicine, his interests lay in the humanities, especially English literature and history. From this reading and his vast medical experience, he gave advice, laced with common sense and wisdom, to all who sought his help. Having passed first year and now 18 years old, but against his father’s wishes, John joined the Australian Army. However after three months he was sent back to medical school to continue his course. With too many distractions from his studies during the year he ended up failing Second Year and rejoined the Army in December 1943. He then spent most of the next two years in northern New Guinea, returning to Melbourne in early 1946 to continue his medical degree. In 1947 he married Jacqueline Joan Wallace, a graduate in metallurgy and in October 1950 he graduated, winning the forensic medicine prize in his final year. John’s first appointment as a resident was at the Alfred Hospital where continued his training in surgery and ended up working in Casualty, now known as Emergency. 1952 found him as a lecturer in the University of Melbourne Pathology Department before being appointed in 1955 as Assistant Government Pathologist, working at Melbourne City Mortuary. While he enjoyed the work, he did not get on with Dr Keith Bowden, the Government Pathologist, and so he was very happy to be appointed to the position of Police Surgeon in 1957. Now in his job as Police Surgeon, Birrell had seen first hand what happens when a driver’s ability is impaired by the influence of alcohol. In the meantime a new unit in the Police Force, the Accident Appreciation Squad, had been formed in late 1957 and in their first year of operation had reported findings the same as Birrell had reported a year earlier. Birrell was an excellent communicator and he became a regular speaker at gatherings of people throughout the State. Many of these were service clubs, such as Rotary. It was at a meeting in Morwell in mid-1959 where he made the suggestion that hotels should be allowed to stay open to 10pm instead of the current closing time of 6pm that brought about the end of his speaking tours. It meant cancelling 23 speaking engagements. What he had done was to expose a very sensitive issue with a long history. The temperance movement had a major victory in 1915 when the Victorian Government passed the Intoxicating Liquor (Temporary Restriction) Bill whereby the public bars of hotels were restricted in the hours they could serve drinks to between 9am and 9pm. A year later this so-called temporary war-time measure changed the opening times to be from 9am to 6pm. This temporary measure continued for 50 years. In the past year I have travelled thousands of miles through the United States, Britain, the Continent and Mediterranean. I will say at once that nowhere have I experienced anything as revolting and disgusting as what we call the six o’clock swill. The daily demonstration of piggery is something that no other country in the world can match. [The pub is] a large room, with a cold lavatory-like atmosphere, but filled with pushing men. There are no seats, no tables, no stools, no clutter that might interfere with the high-speed action. … There are special men and ladies on for the peak panic, eight or even ten immensely skilled barmen and barmaids, all equipped with the latest pluto taps on plastic hoses, an invention designed for dispensing beer at frightening speed, but they cannot cope. It is ten to six, now five to six, the bar is ten deep with pushing bodies, all thrusting handfuls of glasses towards the barmaids: “Here” – “Here” – “For Chrissake here”. Well, you know this barmaid pretty well, she serves you first, but then you have to get your five glasses back to your mates against the wall. … But now it is two minutes to six, the mob is getting desperate, like the last few fighting for the lifeboats on a sinking ship. At six the publican would ring bells, make announcements over an amplifier, he would go round almost with tears in his eyes urging everyone to finish their drinks: “Come on, fellers, fair go, drink up, fair go”. The rules were very real. and he knew the penalties. The sad fact was that 40 to 50 per cent of fatal crashers were due to alcohol and that the peak time for accidents was 6pm to 8pm. But the public had voted as recently as 1956 to keep the closing hours at 6pm. Also, the hotels and liquor industry was happy to keep to these hours as it was very efficient to have such large quantities of beer sold in the 5pm to 6pm time slot. So while Birrell was forbidden to continue his speaking engagements, it didn’t stop him from talking with The Age newspaper at their invitation. The young reporter assigned to the task was Graham Perkin, a talented journalist who was destined to become the Editor-In-Chief of The Age a few years later. His series, 5000 words run over three days in June 1959, is a textbook example of campaign journalism, and a forerunner of the brand of hard-hitting investigative reporting which under his editorship would distinguish the paper. A liner brought 650 migrants into the Port of Melbourne a few days ago. Forget them. As units of population they do not exist and there will soon be 650 tombstones in Victorian graveyards to prove it. This, roughly, is our annual shame. A year of driving on Victorian roads and a boat load of migrants, or the entire population of the Mallee town of Hopetoun, is gone forever. [A] half-drunk fool wrecks two cars and smears the blood of three injured people over the bitumen … and all he can do is shrug his shoulders and tell you that he’s been to a party and ‘I’ve had a few drinks, but I’m all right’… South of the Yarra two cars have collided, and one has ricocheted into a lamp pole. One car has broken beer bottles in the cabin. Spilled beer and spattered blood make a dull red shandy on the floor … You see wild men, quiet men, agreeable men, argumentative men. All have been driving, and most have been drinking. One man says ‘I’m not drunk; give me a blood test. I’ll have a blood test.’ Another says ‘Blood test? What a mug I’d be.’ It’s not quite dawn when you leave for home and bed. You have seen 12 accidents and half a dozen drunk-driving suspects in custody. In your layman’s eyes liquor … was directly involved in 10. The State Government’s pathologist, Dr Keith Bowden, left for overseas this week to make a six-month study of the use of blood alcohol tests in combating drinking drivers. Three hundred Victorians will die on the roads before he returns. In the meantime the government is investigating seat belts for cars, crash helmets for motor cyclists and crash bars for motor cycles. The urgency of the State Government’s measures will not impress the soon- to-be-bereaved families of the 300 potential occupants of the mortuary. Nor will it comfort the 7000 Victorians who will be injured on the roads before Dr Bowden submits his report… The decision might be accelerated if … the Acting Premier, Mr Rylah, arranged to spend a Saturday night on the roads with Dr Birrell. After these articles appeared, Lindsay Thompson, the Assistant Chief Secretary and later to become Premier, was somewhat sceptical about Birrell’s claims and the press reports. A number of influential people were putting pressure on the Government to silence Birrell permanently and Thompson was asked to investigate. Thompson reported his conclusions back to Cabinet and Birrell wasn’t sacked. In 1927 a breakthrough took place in the USA with the realisation that the breath of a person who had consumed alcohol was an alternative means of measuring the amount of alcohol present in the blood. Over the next few years various machines were introduced and tested to confirm the principle. But it was only in 1954 when Robert Borkenstein invented the Breathalyzer that the first practical instrument for breath testing became available. In 1960, the Victoria Police forensic scientist, Dr Norman McCallum, imported the Borkenstein Breathalyser for testing. The testing was successful and in 1961 the breathalyser was introduced in place of blood tests, but still on a voluntary basis. The refusal rate was 80 per cent, which was unacceptable to Birrell who said the tests should be compulsory. This situation was corrected in 1961 when it became an offence for a driver to refuse a breath or blood test. However evidence of intoxication was required in addition to these tests. There were many advantages in employing the breathalyser technology. Test results were available on-site, the test for a breath sample was not intrusive compared to taking a blood sample, a doctor was not needed, and the preparation and careful handling of samples was not required. It took another four years before Victoria became the first state to introduce a law in 1966 that made it an offence to have a blood alcohol reading in excess of a certain level, that being 0.05 per cent. Before it became law there were many objections to overcome on the grounds of self-incrimination and encroachment on civil liberties of individuals. The 1966 legislation on 0.05 was brought in at the same time 10 o’clock closing was introduced. The interesting thing here was that there was no change in the number of fatalities occurring in the hours 6pm to 11pm but the peak period now slipped back from between 6pm and 7pm to between 10pm and 11pm. This time shift clearly showed the involvement of alcohol in traffic crashes. It took another ten years before the most significant legislation was introduced in Victoria to undertake random breath testing (RBT). The July 1976 law allowed for Preliminary Breath Testing Stations to be set up under certain conditions. Unfortunately, the resources made available were insufficient and the impact was limited, although the death rate did fall. Other states in Australia followed the lead but learned from the poor results in Victoria and, especially in New South Wales, did provide adequate resources to enable random testing of a large percentage of the driving population each year. It was not until 1989 that the total number of tests in Victoria exceeded 500,000 in that year. When John Birrell became Police Surgeon late in 1957, the road toll in Victoria was 589. Each year thereafter it increased to reach a peak of 1,061 in 1970. When he left in 1977 the number had only reduced a modest amount to 954. Since then there has been a steady decline with 257 fatalities in 2015. Over that period the number of vehicle registrations had grown by a factor of ten. The John Birrell story follows the path of learn, live and lead. He learned from his parents, his teachers, his tutors and mentors. He learned from his experience as a pathologist and he learned from his observations and analysis that alcohol was a the major factor in road deaths. He lived with this every day, determined not persevere against powerful forces that would block his path. And he led others to see what was really happening: small groups of citizens, the press and the politicians. Here is a model of the Can-Do Wisdom framework in operation. Gibb, D. (2003, April 4). Obituary: Police surgeon who made the world a safer place. The Age, Culture, p.7. Hills, B. (2010). Breaking News: The Golden Age of Graham Perkin. Carlton North, VIC: Scribe. Birrell, J. H. W. (2004). Twenty Years as a Police Surgeon. Ringwood, VIC: Brolga. Perkin, G. (1959, June 22). Blood On Bitumen … No. 3. The Age. Raymond, A. (1969). Ten O’Clock Closing — The Effect of the Change in Hotel Bar Closing Time on Road Accidents in the Metropolitan Area of Victoria. Australian Road Research, 3(10), 3-17. Posted in can-do wisdom, Change Instigator and tagged .05, drink driving, John Birrell, pathology, road deaths.